Deborah Stevenson’s book Soaring Soren has been nominated for the 2016 Dog Writers Association of America Award for Best Series of Illustrations or Paintings. Featuring beautiful art by illustrator Morgan Spicer, Soren is one of three books in the category. Congrats to Deb! Established in 1935 at the Westminster Kennel Club Dog Show, the DWAA hosts an annual writing competition with awards in various categories. 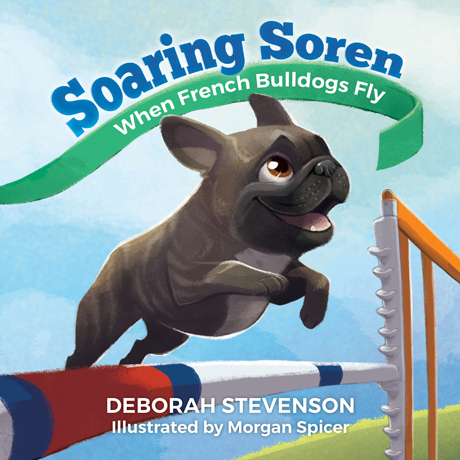 Soaring Soren is the inspiring true story of a French Bulldog who is determined to become an agility champion against all odds.